For our featured custom we have an expanded Thundertank by forum member JaredFragd3111. The update make it a 2-seater so you can now send two of your favorite Thundercats on a mission. Click the DISCUSS button for more images. ‘ello everyone, this is my first thundercats custom, Mummra. i gave him some light up eyes, a custom cloth cape, added the wraps to him permanently, give him a few swipes of the old paint brush and viola! Click the DISCUSS button to check out the other photos. 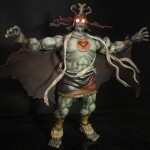 If you’re into Thundercats and into customizing, then you’ll want to check out our Thundercats Customs Projects Forum. You can check out what our members are creating or share your own creations! Check out an awesome looking Mad Bubbler custom by new forum member HOMBRE X. 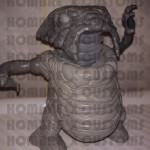 The original Mad Bubbler was never released, so Hombre X plans on casting and selling the figure once he finishes. Check it out by clicking the headline of the story. If you want to share your customs, or just want to see what our members are doing, check out our Thundercats Custom Projects Forum. Today we’re featuring customs from new forum member RedRebelCustoms. 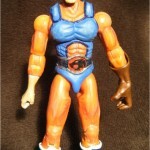 He created some fantastic looking customs based on some Thundercats character ideas he had. Check them out by clicking the headline of the story. 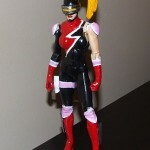 Are you an action figure customizer? Want to show off your Thundercats or other creations? 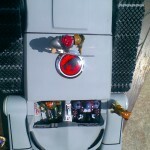 Then stop by our Thundercats Custom Projects Forum. There you can see what our other members are doing as well as share your creations! Today we wanted to showcase one of the customs from our forum. Today’s Thundercats Customs Showcase comes from forum member Spurt Reynolds. 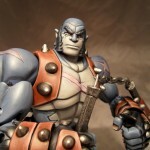 He took the 6″ Modern Panthro and did a complete repaint, bringing out the fine details of the figure. Check it out by clicking the DISCUSS button below. Stop by our Thundercats Customs Projects Forum to see what other members are creating. You can also share your own personal creations there! Our Featured Thundercats Customs are back. 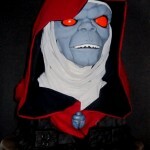 For today’s feature, check out this amazing 1:1 Scale Mumm-Ra Bust from forum member thunderianroyalguard. Click the thumbnail for the full image. If you have a Thundercats Custom you want to share, or just see what our community is posting, check out our Thundercats Customs Projects Forum. Check out today’s Featured Custom. The custom comes from forum member Wthompson. It features the Thundercats ally and Interplanetary Control Force member Mandora. Check out the photos by clicking the DISCUSS button. If you would like to check out more customs, or post your own, check out our Thundercats Customs Projects Forum. 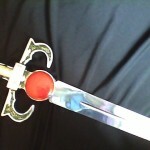 For our Featured Custom, we have two Sword of Omens replicas. 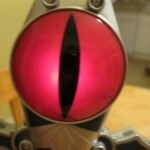 They come to us via Thundercats.ws forum member RoftheHood. there are two different swords; One based on the original cartoon and one based slightly off the original Thundercats 2011 teaser poster. Click the DISCUSS button to check out all of the images. If you have customs you would like to share, or just want to see what our members are doing, check out our Thundercats Customs Projects Forum. Today’s Featured Thundercats Custom comes from forum member jimsloth. 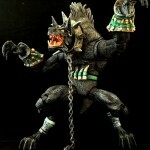 He created a custom Lion-O that fits right in with the 3.75″ G.I. Joe figures. “This was made with parts from Slayer Design Studios (the head and torso). Check out a couple of photos by clicking the headline of the story. If you have a custom you would like to share, simply join in and post in our Thundercats Customs Projects Forum.